This last week or so has been a traumatic time for my family. On-going court proceedings prevent me from commenting on this though it may be something I will return to again. For now let me tell you about a remarkable man. Occasionally, in my political travels around Ireland I would arrive in Mayo and Ballina where I would meet Jackie Clarke. He was a local Sinn Féin Councillor, a life-long republican activist and well known across the county and beyond. 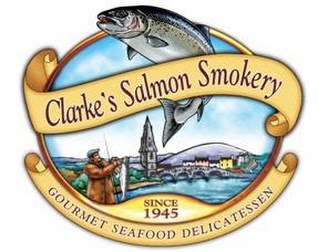 He was also a fish merchant and ran a smokery. Jackie would enthusiastically show me some new book or pamphlet that he had recently acquired. But none of us had the slightest inkling of the depth and extent of his passion for all things Irish or his determination to record centuries of republican resistance to British rule through publications of the period. It was only after his death in 2000 that the magnitude and historical importance of Jackie Clarke’s collection came to light. 100,000 items, including a Proclamation; eviction notices from the late 19th century when another Mayo man, Michael Davitt led the tenant farmers in their battle with the Landlords; a cockade that was attached to Wolfe Tone’s hat when he was captured; photographs; old maps; letters from many significant leaders in Irish history, including Michael Collins, Michael Davitt and O Donovan Rossa, as well as posters, leaflets and other materials from the hunger strikes of the 1980s. Jackie chronicled armed resistance from 1798 until the 1990’s. He gathered material from every phase of the republican struggle over 200 years. There are also exceptional documents going back a further 200 years to the 16th century. Jackie’s personal commitment to Irish republicanism began at a very young age. He lived in Dublin for a time and became a close friend of 1916 veteran republican Joe Clarke who founded the Irish Book Bureau in Dublin and was in the 1970s a Vice President of Sinn Féin. While living there Jackie would regularly visit many of the other bookshops that then existed along the quays looking for books and pamphlets and other republican items that might catch his eye. Jackie maintained his connection to Joe after he returned to Mayo. According to his family Jackie joined the I.R.A in 1944 at the age of 17. He was a dedicated republican activist all his life and a Sinn Féin Councillor on Ballina Urban District Councillor for over 20 years. On June 3rd 1974 IRA Volunteer and Mayo republican Michael Gaughan died on hunger strike in Parkhurst prison in England after 64 days without food. He was 24. Michael Gaughan had been force fed for almost six weeks and it later emerged that a tube, which was forced down his throat, had punctured his lung and led to pneumonia and his death. Five days later his remains arrived in Dublin where thousands of people attended the lying in state. From there it made its slow respectful way across the island to Ballina where Jackie Clarke was responsible for the complex funeral arrangements. He did Michael Gaughan proud. Two years later on February 12th 1976 another Mayo man Frank Stagg, also died on hunger strike after 62 days on hunger strike in Wakefield prison. He was aged 33. When Frank Stagg’s remains were on their way back to Ireland the Fine Gael/Labour Coalition government ordered that the plane be diverted from Dublin to Shannon airport. They were determined that there would be no repeat of the outpouring of public sympathy for a republican hunger striker seen two years earlier at Michael Gaughan’s funeral. The body was hijacked and taken by helicopter directly to the cemetery in Ballina. There amid huge security Frank Stagg was buried in a private plot near to the republican plot. His grave was covered in concrete to prevent his remains from being reinterred and a 24 hour guard was put in place by the state. Jackie Clarke was the main organiser of the public commemoration that took place the day after the state buried Frank Stagg. Despite a huge Garda presence a volley of shots was fired and Joe Cahill gave an oration in which he pledged that Frank Stagg’s body would lie in the republican plot. Shortly afterward Jackie was arrested and charged with IRA membership but was subsequently acquitted. Undeterred by the round-the-clock guard and the several feet of concrete Jackie Clarke and his Mayo comrades patiently planned and organised and in November Frank Stagg’s remains were removed and he was reburied beside Michael Gaughan. Throughout the war years Jackie and his shop were under constant surveillance by the Special Branch. It was raided on numerous occasions. Despite the harassment and the censorship of Section 31 that was directed towards Jackie and his fellow Republicans in Mayo, he not only managed to be elected as a Sinn Fein councillor but in 1976, the year he was charged with IRA membership, Jackie was elected Mayor of Ballina. Jackie was an extraordinary human being. He made a significant contribution to Irish republicanism. In his amazing collection he has left an extraordinary legacy to Mayo and to the Nation. By virtue of Jackie Clarke’s diligence and generosity the people of Mayo and the Irish Nation have an exceptional record of centuries of struggle for freedom and justice. 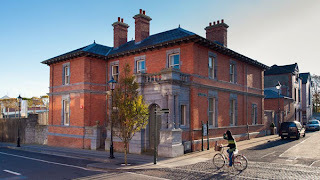 The Jackie Clarke Collection is located in the former Provincial Bank building on Pearse Street, Ballina. Built in 1881, it was used as a bank until 1977. It was designed by the Victorian architect Thomas Manly Deane, who also designed the National Museum and Government Buildings, Dublin. The building, which was acquired by Mayo County Council in 2008, has been completely renovated and refurbished. It now hosts a world-class exhibition centre that has been specially designed for the Jackie Clarke Collection. If you are interested in the history of the Irish people’s struggle for freedom and of the central role played by Irish republicanism in this then make a point of visiting Ballina and the Jackie Clarke collection. I intend to.